Terry Castro has been a camping professional for 14 years. A graduate of Albright College in 2004 with a B.S in Biology, Terry has gone on to get her Masters in Business Administration from Rutgers in 2011, with a concentration in Marketing and Small Business Management. Terry got her start in summer camping as a Swim Instructor, and grew to become the Aquatics Director at Oak Crest Day Camp, Somerset NJ. 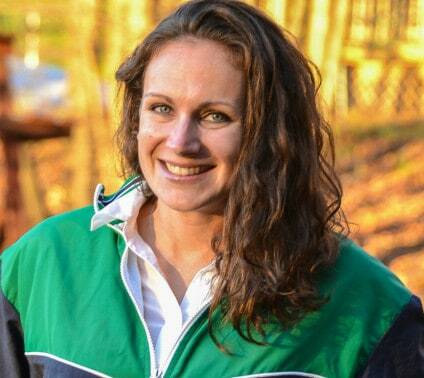 During that time she managed a swim program for over 700 children, 6 pools and a staff of 30 swim instructors. Before coming to Tamarack in September of 2013, Terry spent 10 years as the full time Assistant Director at Oak Crest Day Camp, The Flagship camp of the Arbor Group. As the Assistant Director of Oak Crest, she performed a myriad of tasks, including overseeing all marketing, bus routing, programming, staffing and staff training . Her Summer responsibilities included Aquatic Management, supervising all Specialty and Athletic activities, coordinating and troubleshooting transportation issues, general staff supervision and special event planning. In addition she was the first ever commissioner of the OCGA (Oak Crest GAGA Association) and as such scheduled and supervised the All-Camp GAGA Tournament (it is a really big deal). Terry is a board member of the Camp Owners and Directors Association (CODA) and an active member of the American Camp Association (ACA). She has served on several committees and been a speaker at the ACA National Conference. Most recently, Terry is on the planning committee for the CODA National Conference and was the co chairman of the Morry Stein Fall Management Conference. 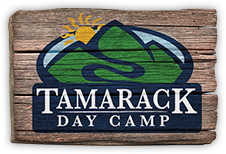 Email Terry directly at Terry@tamarackdaycamp.com. Jessica Grannum joined Tamarack in 2016 as our Biking Specialist. Jess’s passion of biking was evident as she developed our Biking Program into what it is today. What was once reserved for our oldest campers is now open to campers as young as 1st grade. Jess created the Learn to Ride Program teaching countless campers how to ride two wheelers and then use the gears, while our more accomplished riders were introduced to our network of trails, learning to do log jumps and challenging themselves on hill climbs. Summer 2017, Jess joined our Leadership Team as our Munchkin Division Head, overseeing our 3, 4 & 5 year old campers, and started working in the office full time in the Spring. As Munchkin Division Head, Jess oversaw 25 staff members ensuring that all of the campers’ needs were met and communicating camper progress to the parents. She led the Munchkins to a 2017 Tamarack Cup victory (it is a really big deal). Prior to joining Tamarack, Jessica owned and operated an Occupational Therapy Practice, which focused on toddlers and school aged children. 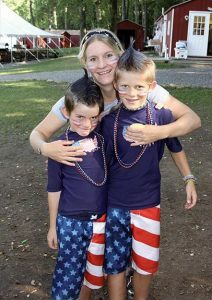 Jess is the proud mother of two Tamarack Campers, Joshua and Jason. Email Jessica directly at Jessica@tamarackdaycamp.com. Jonathan Gold is the owner and executive director of the Arbor Group of Camp, which includes Oak Crest Day Camp in Somerset NJ, Pine Grove Day Camp in Wall Township NJ, and now Tamarack Day Camp here in Randolph. Jonathan Gold received his MBA from Fordham University in 1987 and his Ph.D from Walden University in 1996 with a dissertation on “Quality Management Systems in Summer Camping.” He has over 44 years’ experience in organized camping, beginning in 1969 as a camper at Camp Becket in the Berkshires. He rose through the ranks as a camper and counselor there. Jonathan has been the owner/director of Oak Crest since 2002. A nationally recognized speaker and writer, he has become an authority on Quality Management in camping, speaking frequently at both the local and national level to both for-profit and not-for-profit camps. In 2008 he was featured on the Fox Business Network in an interview about how parents should go about finding a quality camp for their children. From 2005 to 2007 Jonathan served as the Program Director of the Tri State Camp Conference, the largest gathering of summer camps in the world. In addition to running Oak Crest, he has worked at or been director for 5 other summer camps, each one adding a unique dimension to his current leadership and management style. Jonathan also served as a tenured professor of management at Caldwell College from 1990 to 2000, where he taught graduate and undergraduate courses in management and marketing. Email Jonathan directly at Jonathan@tamarackdaycamp.com. Summer Camp can be one of the most influential experiences of a young person’s life, so choosing the right one is extremely important. Whether at the beginning of your summer camp search or narrowing down the final choices, getting to know the camp director is one of the most vital steps. Questions to Ask the Camp Director will help parents better understand the philosophy of the Director and what a summer camp is really all about.